Picking up where we left off, we continue to explore the pimpl pattern, how it can be used to create real-world applications, and if there are any viable alternatives. Let's look at pimpl and its alternatives in a real application! I've implemented a small utility app - for file compression - where we can experiment with various designs. In my previous post, I covered the pimpl pattern. I discussed the basic structure, extensions, pros and cons, and alternatives. Still, the post might sound a bit "theoretical." Today I'd like to describe a practical use case of the pattern. Rather than inventing artificial names like MyClass and MyClassImpl you'll see something more realistic: like FileCompressor or ICompressionMethod. Moreover, this will be my first time using Conan to streamline the work with third-party libraries (as we need a few of them). Ok, so what's the example? As an example, I've chosen a utility app that helps with packing files. Users run this utility app in a console environment. A list of files (or directories) can be passed, as well with the name of the output file. The output file will also specify the given compression method: .zip for zip, .bz2 for BZ compression, etc. Users can also run the app in help mode, which will list some basic options and available compression methods. When the compression is finished a simple summary of the bytes processed and the final size of the output file is shown. Output file - also specifies the compression method. List of files (also with directory support). Basic summary at the end of the compression process. The same can be achieved with the command line mode of your favorite archive managers (like 7z). Still, I wanted to see how hard is it to compress a file from C++. The full source code can be found on my GitHub page. Modern, powerful open source C++ class libraries for building network- and internet-based applications that run on desktop, server, mobile, and embedded systems. One thing I noticed was that it supports Zip compression. So all I have to do for the application is to use the library, and the compression is done. Ok, so what's the deal with pimpl or abstract interfaces? The first iteration has none of them! Firstly: all of the private implementation is shown here (no fields, but private methods). Secondly: types from a third party library are included (might be avoided by using the forward declaration). In other words: every time you decide to change the private implementation (add a method or field) every compilation unit that includes the file will have to be recompiled. We aim for pimpl or an abstract interface to limit compilation dependencies. Of course, the public interface might also change, but that's probably going to happen less often than changing the internals. In theory, we could avoid Poco types in the header - we could limit the number of private methods, maybe implement static free functions in FileCompressor.cpp. Still, sooner or later, we'll end up having private implementations revealed in the class declaration in one way or another. I've shown the basic code structure and classes. But let's now have a look at the project structure and how those third-party libraries will be plugged in. The first iteration only implements the part of requirements, but at least the project setup is scalable and a solid background for later steps. As I mentioned before, with this project I've used Conan (Conan 1.0 was released on 10th January) for the first time (apart from some little tutorials). Firstly, I needed to understand where can I plug it in and how can it help. In short: in the case of our application, Conan does all the work to provide other libraries for the project. We are using some third party libraries, but a Conan package can be much more (and you can create your custom ones). To fetch a package you have to specify its name in a special file: conanfile.txt (that is placed in your project directory). Conan has several generators that do the job for you. They collect information from dependencies, like include paths, library paths, library names, or compile definitions, and they translate/generate a file that the respective build system can understand. I was happy to see "Visual Studio Generator" as one of them (your favorite build tools is probably also on the list of Conan's Generators). With this little setup the magic can start. Now, all you have to do is to run the Conan tool (in that folder) and install the packages. This command will fetch the required packages (or use cache), get the package's dependencies, install them in a directory (in the system), build the binaries (if needed), and, finally, generate the correct build options (including /lib directories) for your compiler. 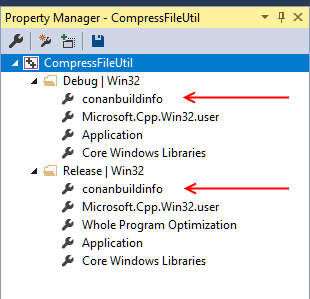 In the case of Visual Studio in my project folder\build_debug I'll get conanbuildinfo.props with all the settings. So I have to include that property file in my project and build it.... and it should work! But why does Conan help here? Download a proper version of the library. I hate doing that kind of work. But with Conan, replacing libs and playing with various alternatives is very easy. Moreover, Conan managed to install the OpenSSL library as a dependency for Poco. Ok... but where can you find all of the libraries? Let's go back to the project implementation. Boost program options - to provide an easy way to parse the command line arguments. BZ compression library - I've searched for various libs that would be easy to plug into the project, and BZ seems to be the easiest one. In order to use the libraries, I have to add the proper links/names into conanfile.txt. Thanks to Bincrafters, boost libraries are now divided into separate packages! Still, boost in general has a dense dependency graph (between the libraries), so the program options library that I needed brought a lot of other boost libs. Still, it works nicely in the project. We have all the libraries, so we move forward with the project. Let's prepare some background work for the support of more compression methods. Since we want to have two methods (and maybe more in the future), it's better to separate the classes. That will work better when we'd like to add another implementation. ZipCompression - converted from the first implementation. BZCompression - BZ2 compression doesn't provide an archiving option, so we can store just one file using that method. Still, it's common to pack the files first (like using TAR) and then compress that single file. In this implementation, for simplicity, I've used Zip (fastest mode) as the first step, and then BZ compresses the final package. There's also a factory class that simplifies the process of creating required classes... but I'll save the details here for now. The basic idea of the pimpl pattern is to have another class "inside" a class that we want to divide. That 'hidden' class handles all the private sections. In our case, we need CompressorImpl, which implements the private details of FileCompressor. 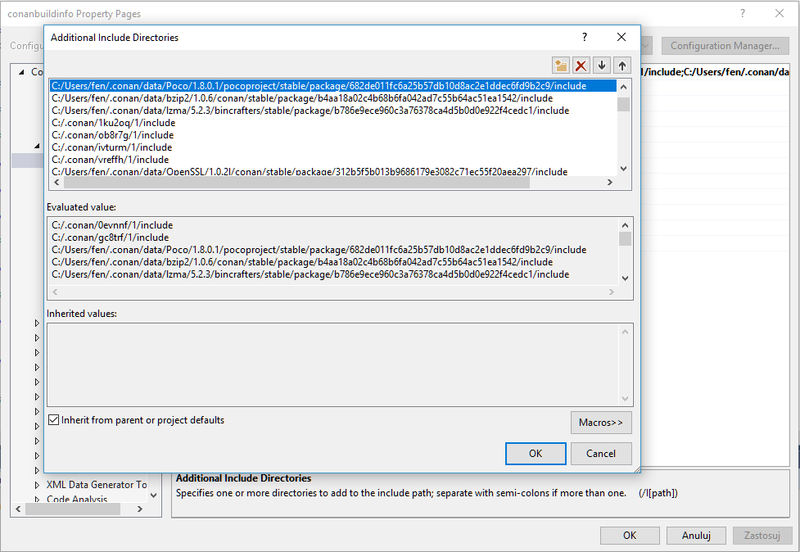 In the constructor, we'll create and allocate the private pointer. We're using unique_ptr so the destructor must be defined in the cpp file in order to avoid a compilation problem (missing deleter type). The class is moveable and copyable so additional move and copy constructors must be implemented. CompressorImpl is forward declared in the private section. Pimpl accessors are required to implement const methods properly. See why it's essential in my previous post. A unique pointer for pimpl is created in the constructor of FileCompressor and optionally copied in the copy constructor. The 'real' Compress() method decides which Compression method should be used (by the extension of the output file name) and then creates the method and forwards parameters. Ok... but what's the deal with having to implement all of that additional code, plus some boilerplate, plus that pointer management and proxy methods? After the core structure is working we can change the private implementation as much as we like and the client code (that includes FileCompressor.h) doesn't have to be recompiled. In this project, I've used precompiled headers, and, what's more, the project is small. But it might play a role when you have many dependencies. Another essential property of pimpl is ABI compatibility; it's not important in the case of this example, however. I'll return to this topic in a future blog post. Still, what if the whole compression code, with the interface, sits in a different binary, a separate DLL? In that case, even if you change the private implementation the ABI doesn't change, so you can safely distribute a new version of the library. Showing all available compression methods. How can we do this in the pimpl version? The stats are already supported by compression methods, so we just need to return them. (Here's the place where this Pimpl accessors kicks in, it won't allow us to skip const when the private method inside CompressorImpl is declared). So much code... just for writing a simple new method. Ok... by now I hope you get the how pimpl works in our example. I've prepared another version that uses an abstract interface. Maybe it's cleaner and easier to use than pimpl? 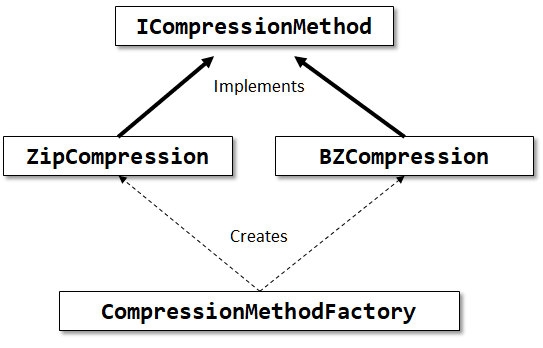 If you read the section about compression methods, where the ICompressionMethod is introduced, you might get an idea of how to add such approach for FileCompressor. Keep in mind that we want to break the physical dependency between the client code. So that's why we can declare an abstract interface, then provide some way to create the actual implementation (a factory?). The implementation will be only in a cpp file so that the client code won't depend on it. With the abstract interface approach, we got into a situation where the exact implementation is declared and defined in a separate cpp file. So if we change it, there's no need to recompile the client code. We get the same result with pimpl. Was it easier than pimpl? No need for special classes, pointer management, proxy methods. When I implemented this is was much cleaner. Why might it be worse? If you want to add a new method to the public interface, it must be a virtual one. In pimpl, it can be a normal non-virtual method. The problem is that when you use a polymorphic type, you also get a hidden dependency on its vtable. Now, if you add a new virtual method, vtable might be completely different, so you cannot be sure if that will work in the client's code. Also, ABI compatibility requires the size and layout of the class to be unchanged. So if you add a private member, that will change the size. Let's roughly compare what's we've achieved so far with the pimpl and abstract interfaces. We went from a straightforward implementation to a version where we managed to limit compilation dependencies. Two methods were tested: pimpl and abstract interface. Personally, I prefer the abstract interface version. It's much easier to maintain (as it's only one class + interface), rather than a class that serves as a proxy plus the real private implementation. Moreover, I enjoyed working with Conan as a package manager. It significantly improved my development speed! If I wanted to test a new library (a new compression method), I just had to find the proper link and update conanfile.txt. I hope to have more occasion to use this system. Maybe even as a producer of a package. And here I'd like to thank JFrog-Conan for sponsoring and helping in writing this blog post. Next time I hope to improve the code and return with an example of a separate DLL and explore ABI compatibility... and how that works.